" Jeri is top notch in all areas. Cant go wrong. " " Jeri is an absolute delight to work with! From initial contact through-to-move-in she is there every step of the way with the expertise, information and patience required to enable a buyer to feel confident that they have made a suitable purchase. We Appreciate You Jeri! " " Jeri goes above and beyond the job of a realtor. Hard working and extremely friendly, she's one of a kind. She goes out of her way to make sure you're happy and get what you want. She is definitely your go to gal! " " Absolutely the best realtor around town. Professional, diligent, hard working, trustworthy and persistent. She is always out to keep us informed so that we make the best financial decisions for ou r family. She feels like family! " 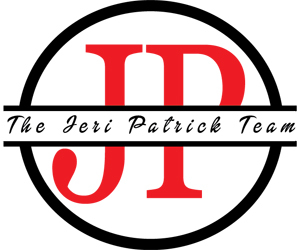 " I highly recommend Jeri Patrick and her team for anyone looking to buy or sell a home. Jeri is very passionate about her work and the happiness of her clients. She will work nonstop until she f inds them the house of their dreams. " " Helped find my dream home!!!! " The sale and purchase of a home is very personal and often stressful. Our goal is to understand your needs, provide personalized and professional advice, while making your real estate experience as stress free and profitable as possible. In today's complex world, there are numerous details that make up a successful real estate transaction, too numerous for one person to effectively handle alone. That is why we have a team of specialists ready to go to work for you when you hire a member of the Jeri Patrick Team to sell your home or help you locate your next home. The data relating to real estate for sale on this website comes in part from the Broker Reciprocity Program of the Savannah multi-List Corporation. Real Estate listings held by brokerage firms other than Jeri Patrick Team - Keller Williams Realty - 912-656-3203 are marked with the name of the listing brokers. Data last updated: April 19, 2019 11:51 PM. All information deemed reliable but not guaranteed. © 2019 Savannah Multi-List Corporation. All rights reserved.